General dentistry includes preventive and restorative treatment options so patients can enjoy better oral health and more attractive smiles. At Sunny Dental Care in Lower Manhattan, New York, Dr. Lily Eng offers comprehensive family dentistry services for kids and adults, including routine checkups and cleanings, fillings, gum disease treatments, and more. 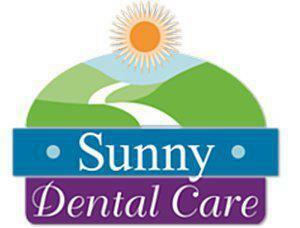 Dr. Eng and the entire team at Sunny Dental Care are committed to providing every patient with treatments designed to ensure optimal oral health at every stage of their life. What happens during a routine checkup and cleaning? Regular checkups and cleanings are the cornerstone of family dentistry. They ensure patients of all ages enjoy healthier teeth and gums while providing the dentist with a chance to look for subtle signs of decay, disease, or other issues that need to be addressed to prevent further damage. Dr. Eng begins each checkup with a visual exam of the teeth and gums before beginning the cleaning. During the cleaning, mild abrasives and special brushing and cleaning tools will be used to gently remove plaque and tartar deposits from the tooth surfaces while also polishing away superficial stains and discoloration. Dr. Eng will look for signs of gum disease and other issues that may require treatment. Once the cleaning is complete, X-rays may be taken to provide Dr. Eng with in-depth information about the health of the tooth roots and the jaw. In children, X-rays also help Dr. Eng evaluate the health and position of developing adult teeth that haven’t emerged yet. Next, Dr. Eng will examine each tooth for signs of decay and perform an oral cancer screening. Dental sealants or fluoride treatments also may be provided. Finally, Dr. Eng will discuss treatment recommendations and provide patients with guidance to help them keep their teeth and gums healthy between appointments. How often should I have a routine cleaning? Adults and children should have their teeth cleaned every six months to prevent decay and disease. Patients who have gum disease may require more frequent cleanings to prevent tartar from building up so the gum tissue can heal. Without proper care, gum disease will eventually spread to the tooth roots, causing teeth to weaken and fall out. Gum disease is a leading cause of adult tooth loss in the United States.